As fate would have it, a house opened up for sale recently fitting the family's needs and I decided to grab the opportunity. This is going to be a very busy autumn for me and the family with a move to the new place in November! Between now and then, I've still got 2 business trips among other duties. 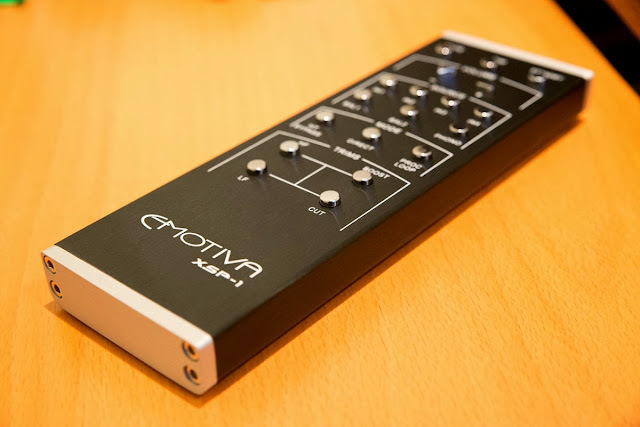 Yup, the Emotiva XSP-1 pre-amp - I got it on sale recently at 10% off (~$820USD before taxes). 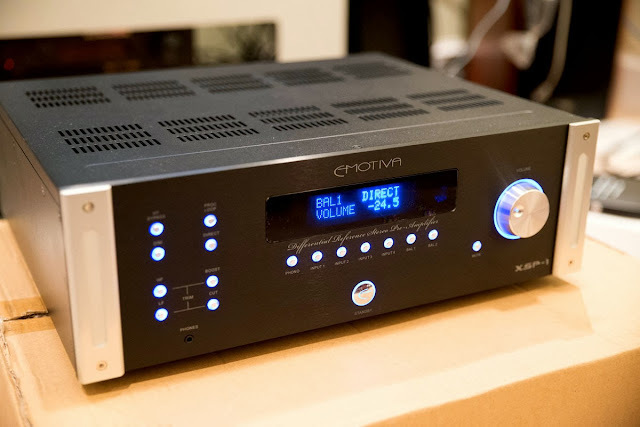 In the next few months, I hope to get a couple of monoblock amps for the fronts (may consider the Emotiva XPA-1 Gen 2 coming out soon). 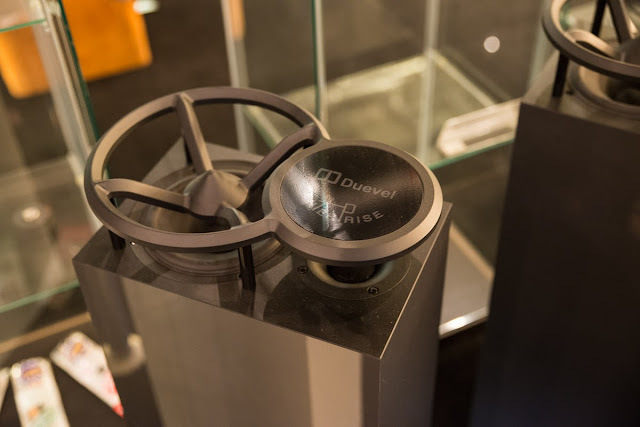 In time I'll buy a processor for the fancy "new" surround formats like DTS-HD Master Audio. For now, I figure I can live with the 10-year old Denon AVR-3802 for decode duties with the ubiquitous Dolby Digital and standard DTS - obviously multichannel isn't a major priority for now. Just a few comments about the XSP-1. It's a nice full sized component weighing a reasonable 28lbs. The rear panel layout is good and connectors are of good quality - gold plated and robust enough to feel that they're not going to fall apart any time soon. It has a phono preamp with impedance settings which I suspect I will never use (not interested in vinyl for now at least). Line level outputs to the amplifiers available as RCA and XLR's (fully balanced topology of course is a main selling point for this preamp compared to less expensive options). I'm looking at integrating something like the Paradigm Signature SUB 1 into the system so I believe I will be using the crossover setting real soon and keeping it at the 50Hz low end. It'll easily handle a single or dual powered subwoofers. There's also a "Home Theater Input" section to easily integrate this unit in bypass mode for surround functionality. 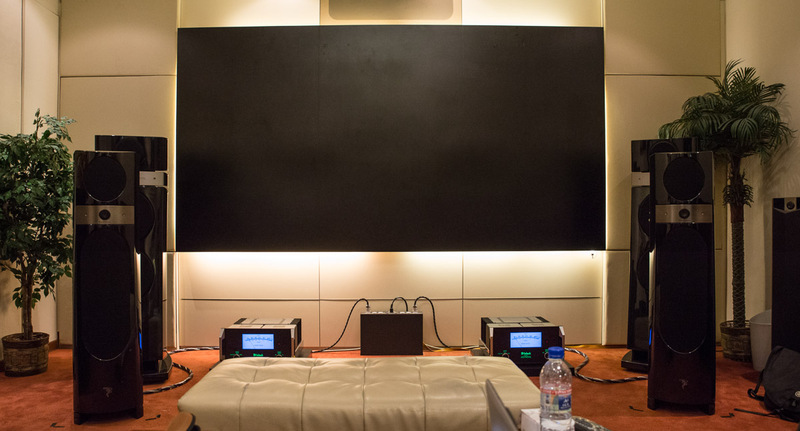 I see that a full set of measurements have already been published by Secrets of Home Theater and High Fidelity. 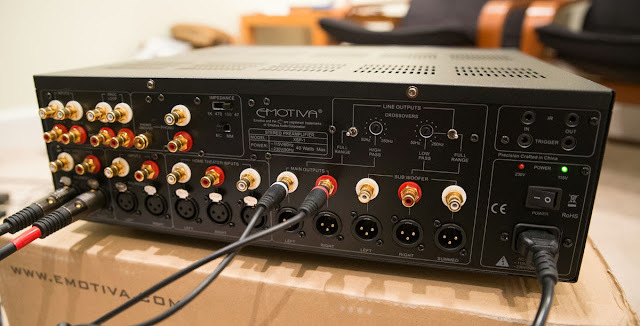 For curiosity, I might try out a few RightMark tests to see what the difference is between this unit and the pre-amp output from the Denon AVR-3802 at various output levels... Could be educational. A look at the guts... A lot of opamps in there. Under the stylized 'E' metal shielding is the power supply and resistor network volume control. In terms of subjective sound quality, so far I'm just running this in a compromised system. 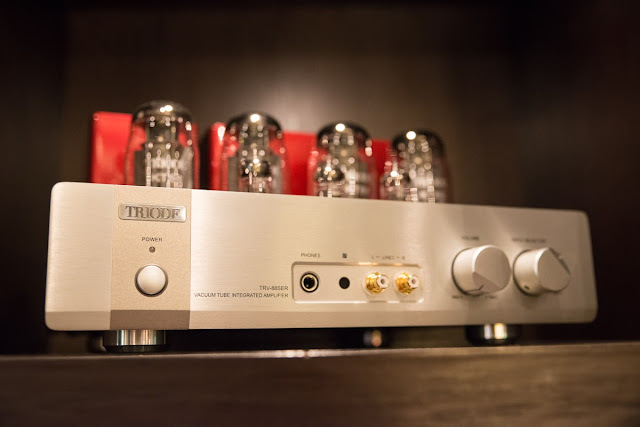 With the Simaudio gone, I'm connecting the XLR from the TEAC UD-501 to the XSP-1 and routing the RCA output to the Denon's "external in" and using the receiver's amplifiers to drive the Paradigm Signature S8's... All I can say is that it does sound better than TEAC RCA to the CD input of the Denon. I wonder if the Denon is doing any internal ADC/DAC step even in the "Direct" setting which is supposed to defeat any DSP happening. For example, listening to Yello's 2009 album Touch Yello, the spatial ambiance and sense of "surround" was more prominent with the XSP-1 than directly into the Denon. Those Q-Sound albums like Madonna's Immaculate Collection, Def Leppard's Yeah!, and Sting's The Soul Cages also sounded fuller. Again, I'll see about obtaining some measurements and compare the quality of the Denon output with this new stereo preamp. Nice metal remote. No problem getting programming for the Logitech Harmony I normally use. If there is one criticism I have about this unit, it would be the headphone amp and output. As you can see from the first picture, the headphone jack is the small 3.5mm variety. It's fine for most of my headphones but for the higher end units like my Sennheiser HD800, I'd prefer the full 6.5mm (1/4") plug rather than having to use a converter. The preamp will mute the line level output when it detects headphones in place so that's appropriate. 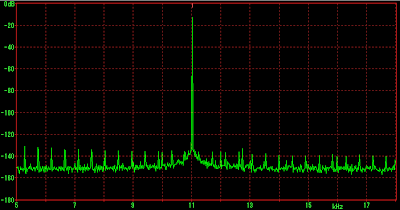 The other issue is that the headphone output is relatively weak. The most power-hungry headphones I have is the AKG Q701. At full volume, it's loud enough for most rock/pop recordings. However, classical recordings with higher dynamic range and produced at softer average levels would need a more powerful headphone amp. As always... Enjoy the music :-). BTW: Can anyone recommend some good audio equipment stands? I'm planning to hang the flatscreen TV on the wall so don't need a TV stand. Something like the stackable Lovan Sovereigns look like a good idea since I will have enough room to put two low stacks side-by-side in front of the TV on the hardwood floor. If you know of other models/brands, I'm "all ears"! 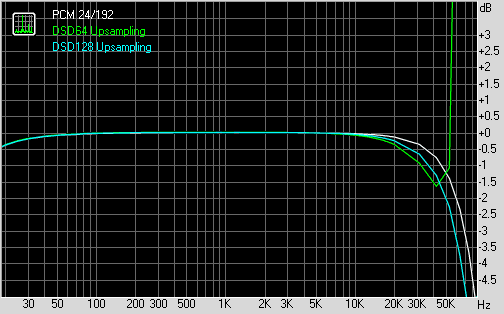 MEASUREMENTS: PCM to DSD Upsampling Effects (JRiver MC19 Beta). 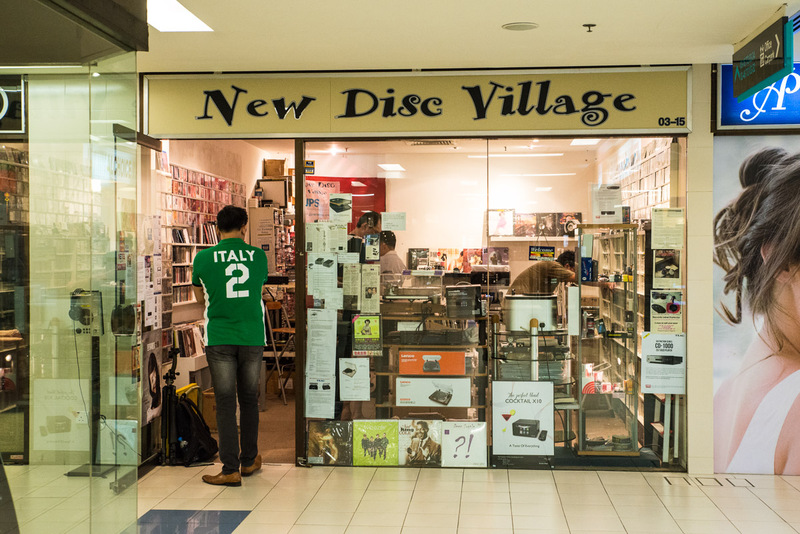 We're continuing to see a push into the DSD domain with renewed talk of music release as digital downloads requiring the purchase of a DSD DAC to natively play (eg. recent Acoustic Sounds DSD releases). For now, I have already voiced some concerns about DSD including practical issues like the gross limitations of the file format itself. I demonstrated the noise characteristics for both DSD64 and DSD128 in my TEAC measurements. 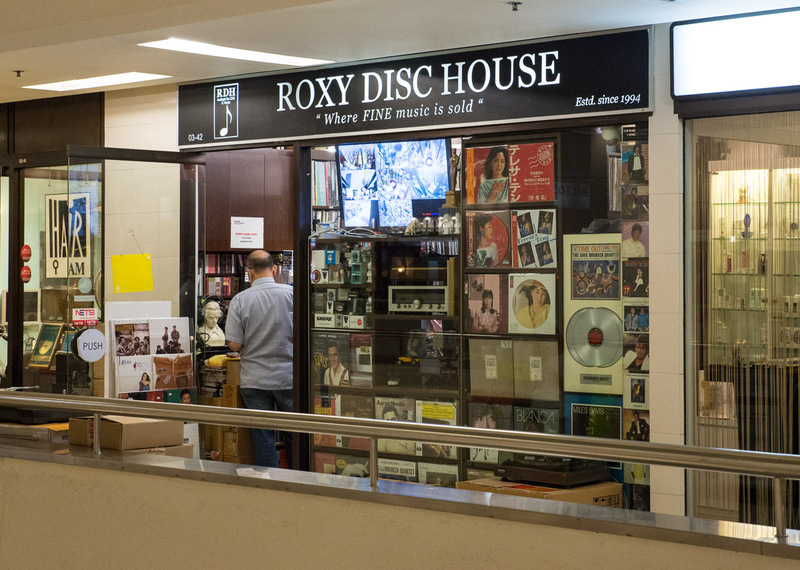 Furthermore, I have shown that there already exists many SACD's appearing essentially to be upsampled PCM from standard sampling rates of 44/48 kHz (remember, it's almost a given that any music we listen to created in the last 20 years has at some point been through a PCM stage except specified pure analogue recordings or those specifically recorded in DSD with minimal processing). Some writers have voiced that even the process of upsampling PCM to DSD will imbue the music with some of DSD's beneficial properties, is this true? If so, what happens? Well, thanks to ongoing advancement in the computer audio world, we can now easily have a way to listen to our PCM music as a converted DSD stream... 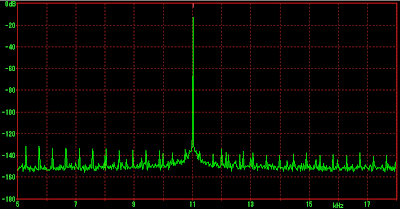 Enter JRiver Media Center 19 and it's ability to stream PCM --> DSD64/128 in realtime to a compatible DAC. [Note that this should also be possible using ASIOProxy from foobar - not tried personally.] This will allow an easy way for everyone to listen for themselves what happens to the sound either as the original PCM or transcoded to DSD with the assurance that we're comparing "apples-to-apples" with the same mastering. First, as has been my custom, let's start with some objective measurements to see what the DSD encoding does to test signals. 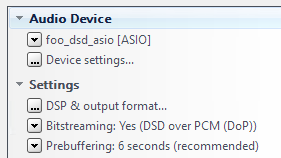 - ASIO buffer set to "minimum hardware size" since someone suggested it sounded better :-) - no stuttering encountered playing music. 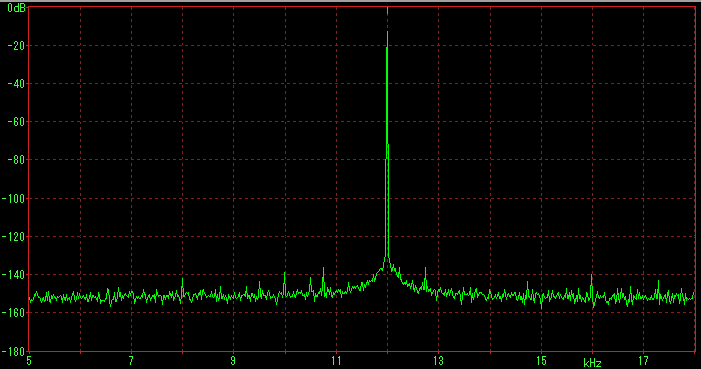 As you can see, volume is about the same with the DSD FIR3 filter on the TEAC vs. PCM SHARP; both output ~2.85V peak with the square wave. What is also very obvious is how clean the PCM is vs. DSD. Notice the extra high frequency noise for both the DSD64 and DSD128 traces, with the DSD128 clearly less noisy. No surprise, right? If you've looked at the objective results from DSD here and elsewhere, this is pretty "normal" for DSD. Noise is again very evident in this "zoomed in" impulse response measured at 24/192 especially from the DSD64 process. Although impulse response graphs can be excellent with MHz sampling rate (this is often a "talking point" in the DSD/Sony ad literature over the years), when resampling PCM to DSD, we're still hampered by the PCM signal's original sampling rate (eg. 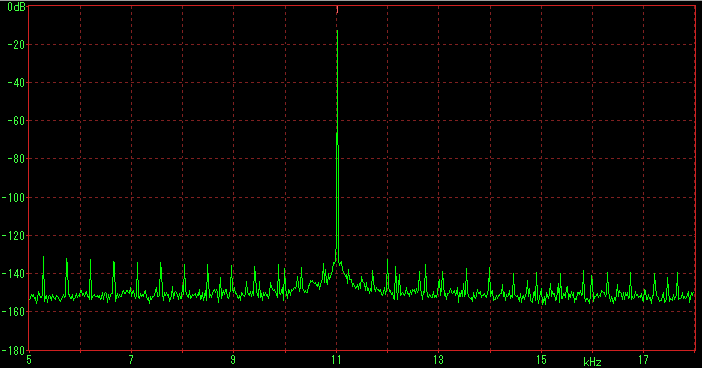 44kHz). Evidently JRiver uses a typical linear phase reconstruction filter; hence the symmetrical pre- and post-ringing. No meaningful differences between PCM and the DSD realtime conversion. 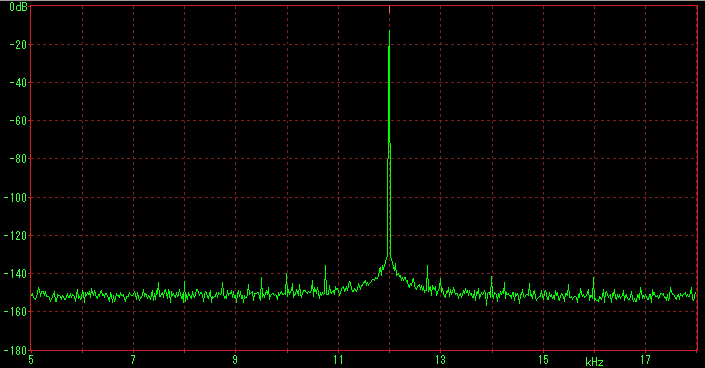 This also means no evidence of worsened jitter with all that extra processing converting PCM to DSD in the computer at least based on the spectral output of this test (typically, this computer's AMD CPU utilization went from <5% with PCM to ~15% for DSD upsampling). 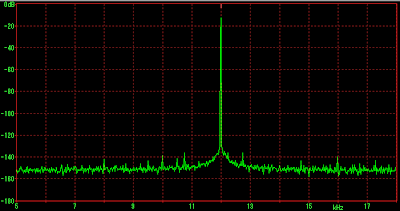 DSD64 is obviously of enough resolution to accurately demonstrate the jitter modulation signal in the LSB for the 16-bit test. 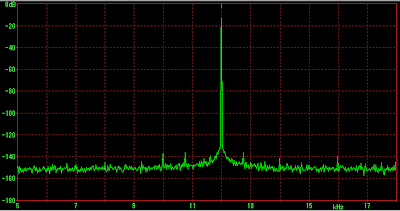 Calculations done in the AUDIBLE SPECTRUM (20-20kHz). 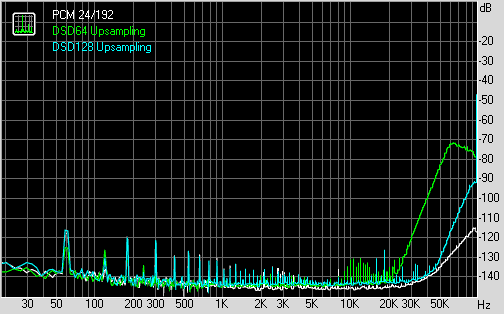 These graphs of upsampled 24/192 test tones echo the results in the TEAC DSD Measurements back in May. I used KORG Audiogate to convert PCM to DSD back in May and it looks like the mathematical process in both JRiver and Audiogate are of similar precision. 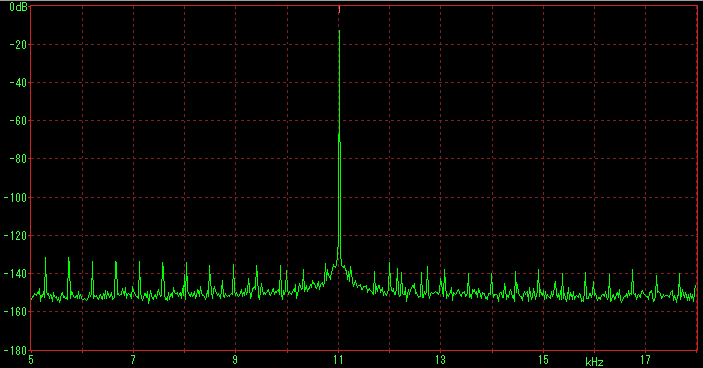 Within the audible spectrum, the PCM and DSD measurements are all very similar. A good indication of high precision in the conversion process. What is again evident is the noise once we get above 20kHz especially with DSD64. The DSD conversion process through this TEAC DAC does change the electrical output as seen by the objective measurements above. This alone means that it's real compared to the identical measurements found with different bitperfect software and digital cables previously reported. What do I hear? 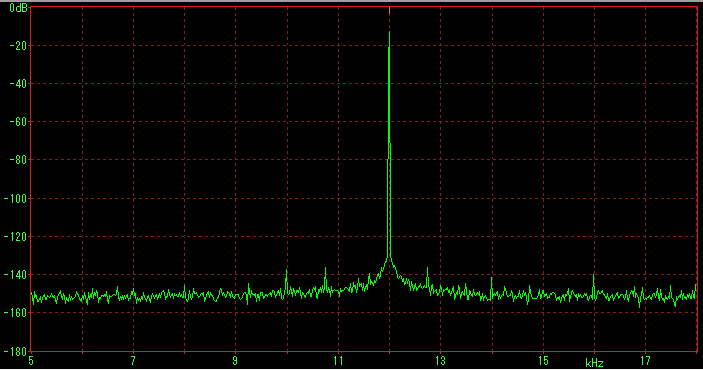 As I mentioned in my previous post on getting DSD128 upsampling working on the TEAC, I think the sound is less "etched". 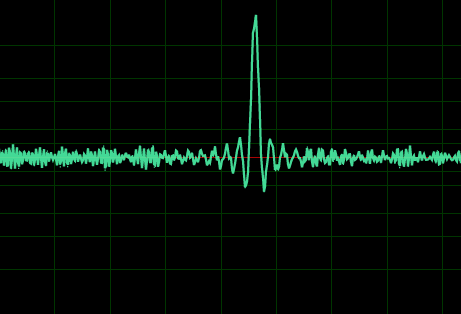 There's a pleasant subtle added smoothness to the transients. I think many may describe this as being less fatiguing, maybe less of the "digital glare". I couldn't specifically put a preference on DSD64 vs. DSD128 but knowing the ultrasonic effects, it wouldn't take much to convince me that DSD128 is better since the ultrasonic noise is further away from the audible spectrum. However, if you believe that the noise itself creates euphonia, it's also conceivable that DSD128 would sound closer to PCM than DSD64. Maybe. I listened to a few standard 16/44 albums in DSD128 like a first pressing Michael Jackson Thriller, the well recorded Al Di Meola Winter Nights, and Suzanne Vega's Solitude Standing. They all sounded great. Like I said, marginally smoother than PCM. I think poorly recorded harsh albums may benefit even more - for example Alan Silvestri's The Avengers score is mastered in "modern" overcompressed fashion with DR9 average dynamic range (not good for an instrumental soundtrack IMO). DSD128 upsampling seemed to make it more listenable for longer duration. Vinyl rips (24/96) of Tracy Chapman's Fast Car and Whitney Houston's One Moment In Time sounded very nice as well... "Extra" analogue from digital from vinyl :-). Again, the inability to instantaneously switch between PCM-to-DSD makes it hard to A-B compare reliably. Unfortunately I did not take a screenshot of the phase measurements, but it looked good. 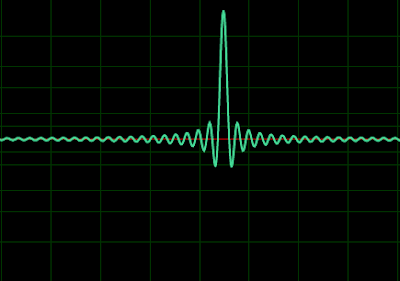 Listening to phase-effect tracks such as those encoded in Q-Sound like Def Leppard's Rock On (David Essex remake off Yeah! ), and Roger Waters' Too Much Rope (off Amused To Death) nicely created the impression of spatial surround and depth. Whether that sense of depth is any better with the DSD upsampling is of course debatable. 1. PCM to DSD upconversion is a DSP process. 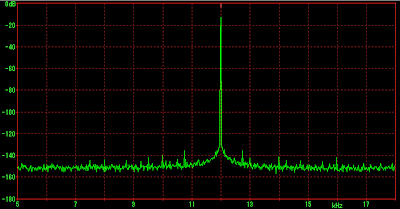 The signal output is measurably different. 3. Pre- and post-ringing is similar to standard PCM with upsampling using MC19's algorithm so this would not explain any audible differences. 4. 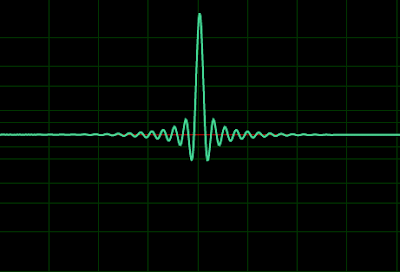 The algorithm used in JRiver MC19 does a good job with maintaining classic measurement parameters like frequency response, dynamic range, and distortion from 20-20kHz - basically this means the math is as expected and fits the DSD output profile. Results are similar to the KORG AudioGate software converting PCM-to-DSD. 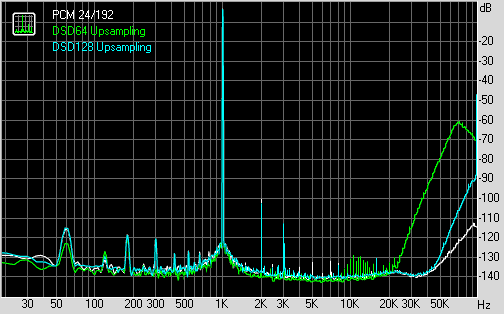 Out of curiosity... For anyone out there with the EMM Labs DAC2X which upsamples to DSD128, it'd be great to have a look at what the measurements are from that unit! 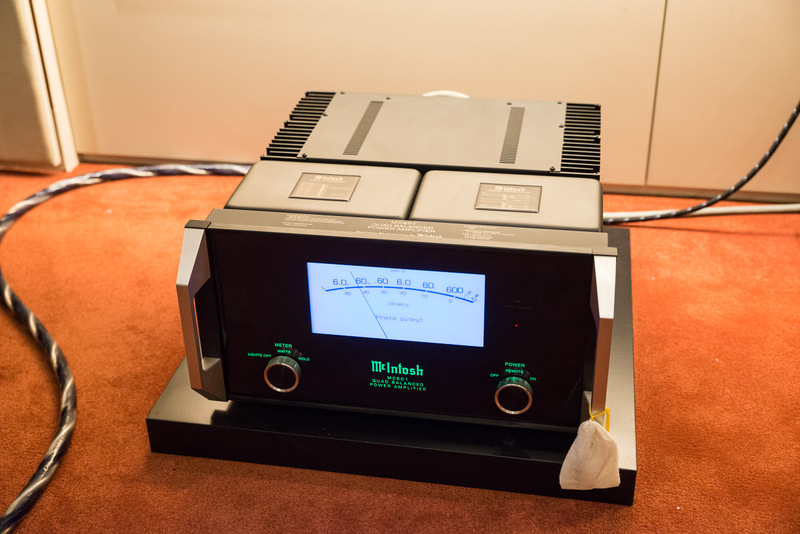 With all the positive press about how this DAC sounds (ahem... $15.5K), I have yet to see any measurements... I wonder what a 16/44 impulse response looks like for example to see if it bears similarity to what JRiver is doing. 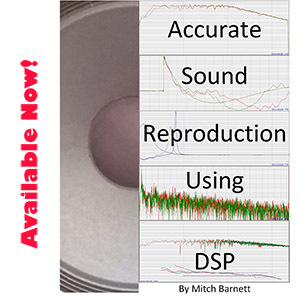 How about the ultrasonic noise with DSD64 & analogue filter strength? 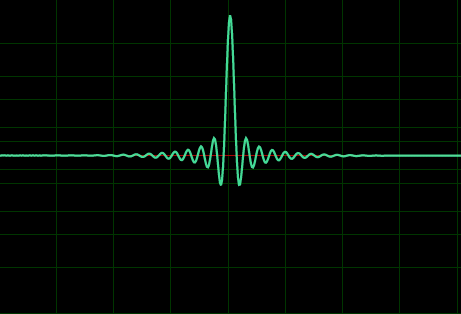 Does the EMM upsampling process for PCM result in similar frequency response pattern? In any case, give this PCM-to-DSD process a try at some point when you can. If nothing else, at least to say you've experienced it... See if you can perceive a difference and/or judge if it's beneficial for yourself. Tonight's music: Valery Gergiev & LSO's Mahler Symphony No. 9 (2011). Nice recent classical recording available in SACD format as well. You might notice that I turned on AdSense on the blog. As I have said in the past, my intention for this blog has never been about making money. I have no formal relationship with any company so have no sales incentive and am not interested in making this some kind "publication" other than what it has been - a blog about my own journey in audiophilia with a bent towards finding answers using empirical/objective means. That remains my main interest. Nonetheless, it's trivial to "flip" the AdSense switch. I would have no idea what Google tries to market to you, and trust that the layout won't be distracting (I've switched off some questionable types of ads like for dating sites or of a sexual nature). If it gets me a few bucks for my digital downloads for what I do as a hobby anyway, I'll be happy with that! 1. Download and install ASIOProxyInstall-0.6.5 from the SourceForge link here. Make the settings as above especially with Fs as DSD128. Should now be listening to all PCM music upsampled to DSD128 on the TEAC. Native DSD files will be bitstreamed in their respective DSD64 or DSD128 forms direct to the DAC without MC19 processing like volume control. Using an AMD A10-5800K processor, I'm seeing CPU use peaking at ~20% and usually 10-15% even with upsampling 24/192 music. Not bad! BTW: I just got back from holidays a little jet lagged so haven't played with this much yet. However, on my system, upsampling to DSD64/128 certainly sounds different than PCM and I can certainly see the appeal - there seems to be more weight to the bass and the sound isn't as "etched". There is a bit of level difference between DSD & PCM playback so I will need to listen more back and forth to see which setting I prefer. As promised, I managed to visit The Adelphi in Singapore to have a listen. It's quite close to the City Hall MRT (their 'subway' system), down the street from St. Andrew's Cathedral. 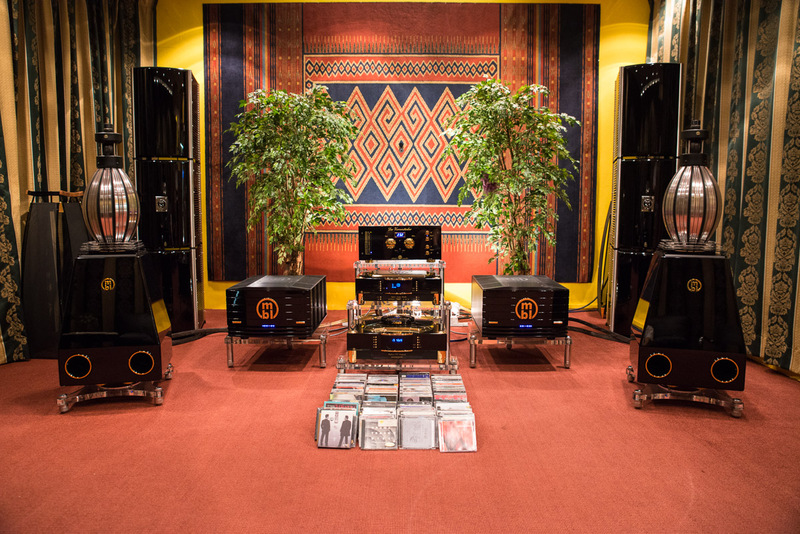 One day, I hope to get to check out an audio show like maybe the Rocky Mountain Audio Fest. Until then, it can be very difficult to listen to good high-end gear in North America. But this is thankfully not the case in other places like Singapore. Focal 1028be paired with McIntosh MC601 monoblocks (600W). Nice sound. The beryllium tweeters sound fine. Good treble extension on pop tracks like Michael Jackson's "Black Or White" without harshness. Love the analogue power meter on these things. Note the Richard Gray power conditioner in the back (upper photo). I can't remember which McIntosh CD player was being used. 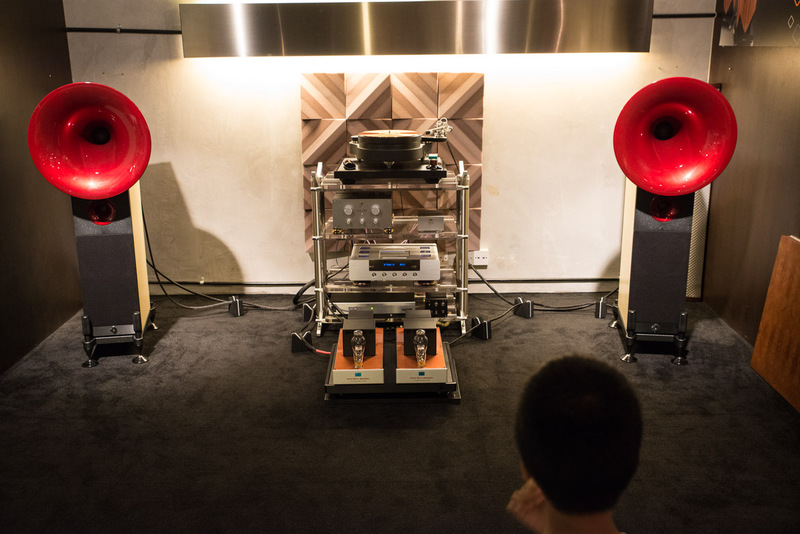 On the other side of the equation there's also this room - very high sensitivity 104dB/W Avantgarde Uno Fino horns with low power Audio Note Quest Silver Signature 9W Class A mono amps. 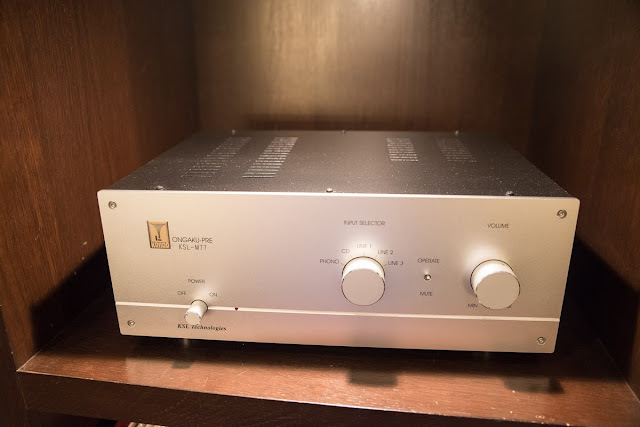 Preamp was the Kondo KSL-M7, fed by an Abbingdon CD-777. Sounds pretty good but I thought it was leaner than the McIntosh system above. Also, didn't push the volume too high... As usual, hard to evaluate systems in unfamiliar and different room setups. We've got the 250Wpc stereo Centaur amp up front. 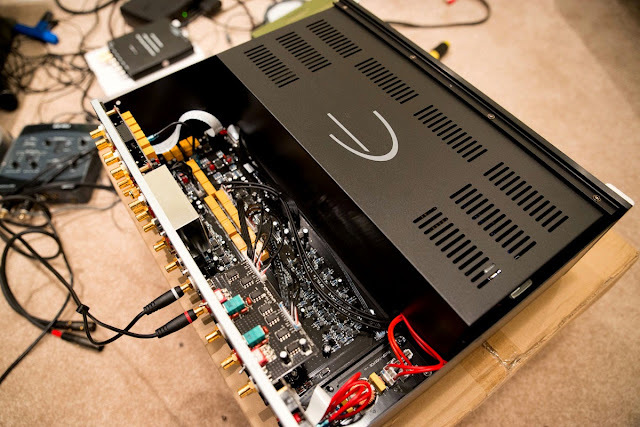 Virgo preamp mid-right of the rack, and an Audio Note CDT Five transport hooked up to an Abbingdon Digital Processor-777 DAC. 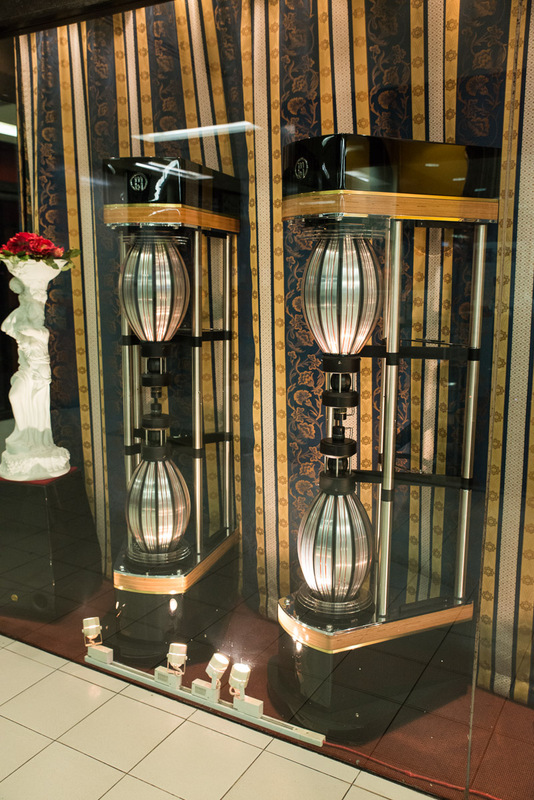 Speakers are the Eggleston Fontaine Signature. One of my favorites over the years has been to check out the mbl showroom. I've heard the larger system here a number of times consisting of the Radialstrahler 101 E Mk II with accompanying dual 9011 as monoblocks (440W, 8 ohms), 1621A CD transport, 1611F DAC, and 6010D preamp. Without question, this is amazing sound. These speakers are all passive with sensitivity of 81dB/2.83V/m so a powerful amp is a must! Unfortunate these guys weren't hooked up. 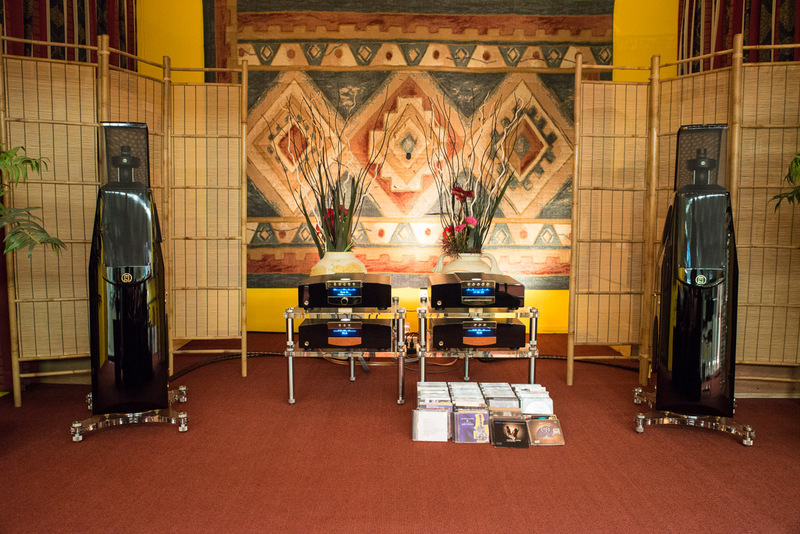 The 2 monoblocks in the lower shelf are 500W (into 4 ohms) C15 Class D amps, accompanied by the C31 CD player, and C11 preamp. Again, sounds great although I think they could use some more bass traps in that room; I noticed some irregularity in the bass line on Rebecca Pidgeon's "Spanish Harlem" for example. Triode TRV-88SER integrated amp. 45Wpc I believe into 8 ohms. Didn't get to hear this but very nice eye candy. 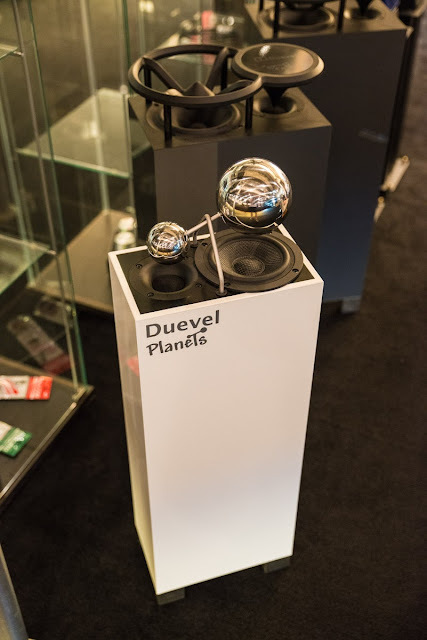 Now a couple of "omnidirectional" speakers from Duevel - the Planets and Enterprise. Interesting looking designs. Not sure how this would sound and would love to see some measurements! 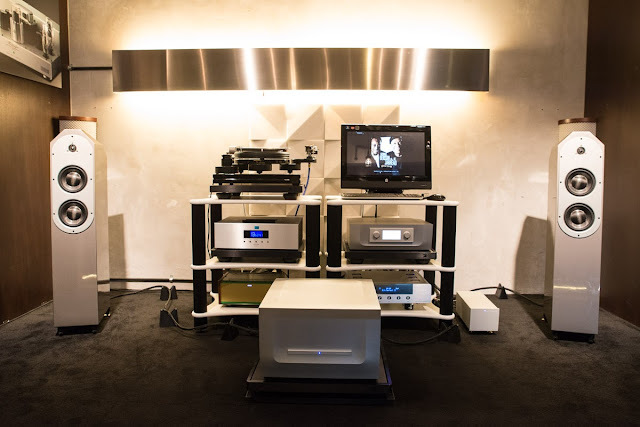 I also had a good listen to some B&W 802 Diamonds with the Olive 6HD server thanks to the folks at Eighteen 77 but didn't get a chance to take some photos. Playing with the Olive unit, I remain impressed by the Squeezebox in terms of speed and flexibility. IMO, the Squeezebox server system remains the best I have used. 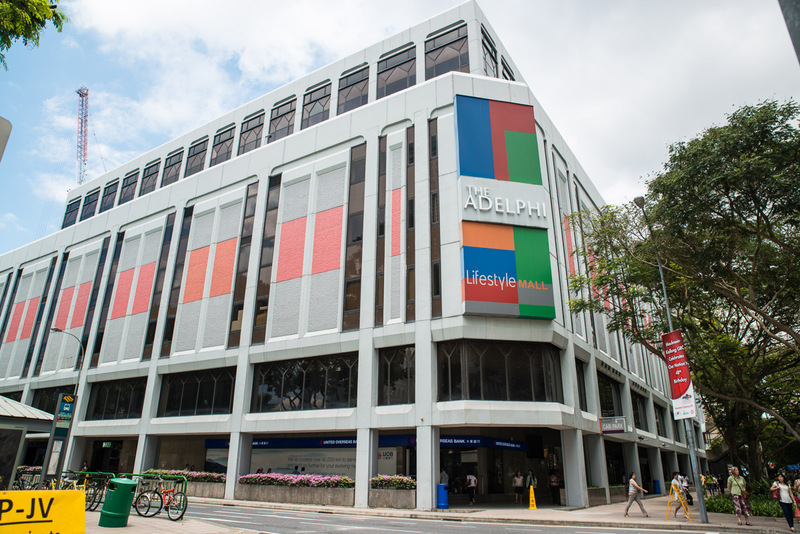 Hope this whets your appetite to visit The Adelphi for those thinking of going to Singapore. Well, vacation time over - back to school for the kids and back to work for me :-).